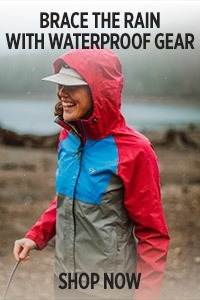 The Refuge Hooded Jacket is the pinnacle release of VerticalX™, the new technology from Outdoor Research that delivers resiliency, breathability, and stretch in a synthetic insulation piece that keeps you warm even when wet. 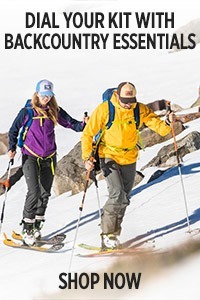 VerticalX™ combines a superior warmth-to-weight ratio with breathability and moisture management that's defining a new category of protective temperature control for the active adventurer. 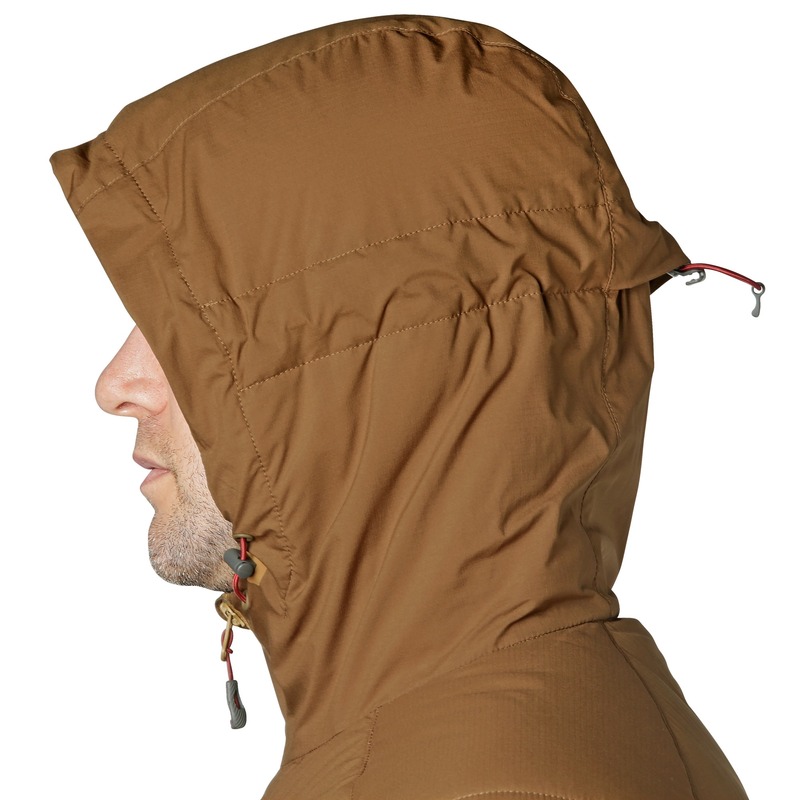 Plus, the Refuge doesn't skimp on purpose-built functional details, like a brushed tricot interior, internal shove-it pockets, and elastic cuffs and hems that trap in warmth. 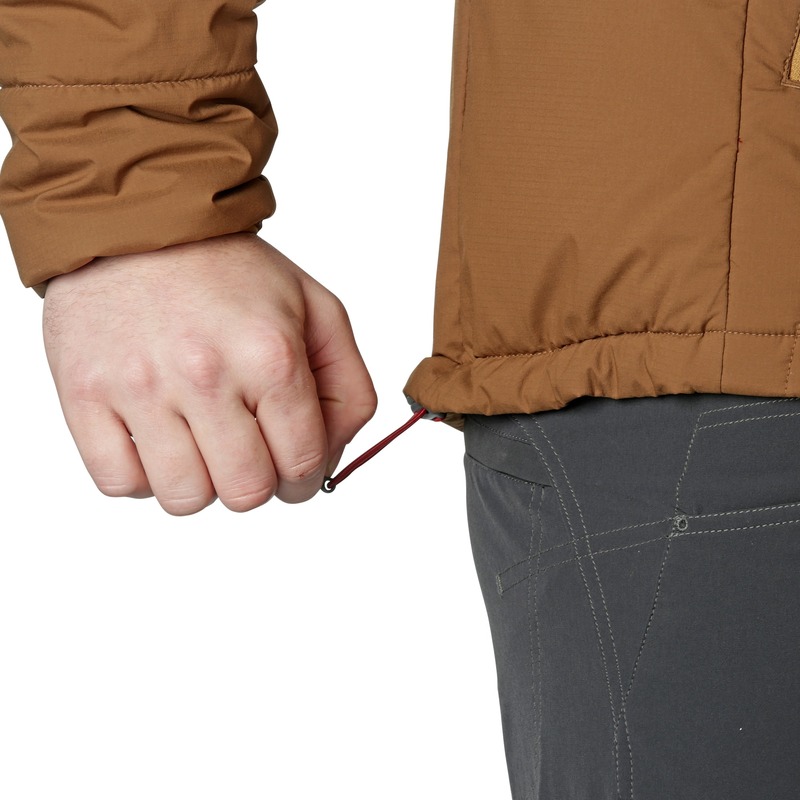 Water-resistant and resilient against harsh climates, the Refuge Hooded Jacket combines the best of weather protective ruggedness with lightweight compressibility that packs into its own pocket. I've only had the jacket for 2 weeks. I like the feel of the jacket and it holds up nice in the cold. We will see how it stands the test of time. This garment is spot on in so many ways. Think of it as a Atom LT from the dead bird guys except way more durable. 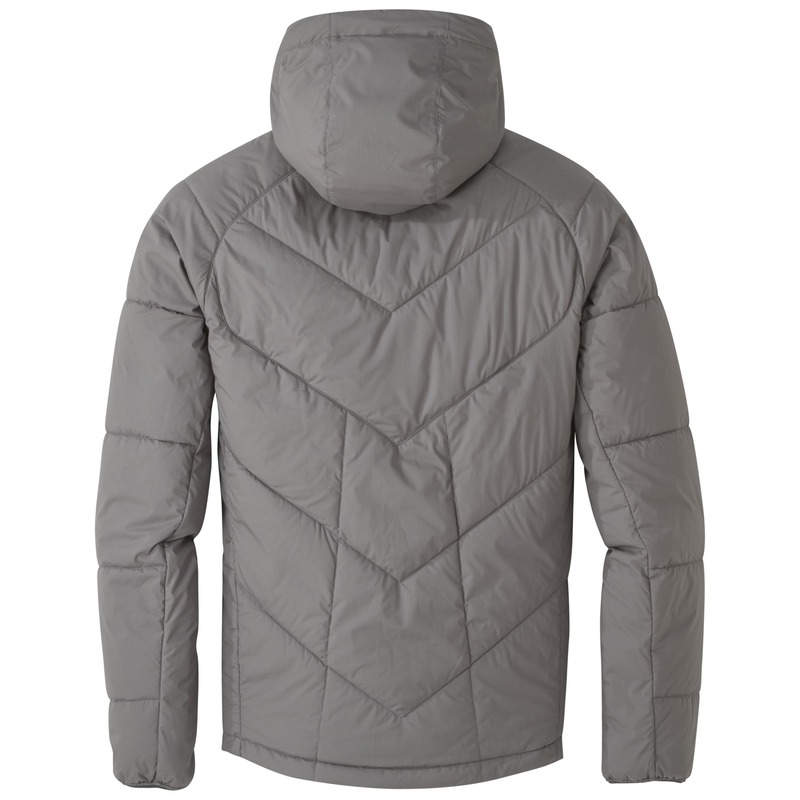 The face fabric is heavier which lends the jacket to weigh more but is not delicate as other layers can be. Fit is slim fitting but in a good way. I'm 6'1", 195, 32" waist and the large is spot on. Plenty of length and the sleeves are plenty long as well. The only whacky thing is the cuffs have quite a bit of extra material. Its like they built it so I could wear one of those crazy INVICTA watches that are sold on TV late at night...I mean there is quite a bit of excess material. All in all would totally snag another one. Great jacket so far. Time will tell how durable it is, but so far so good. Black goes with everything, so I've worn it every day since I bought it. 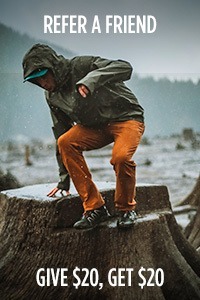 Its plenty warm for the PNW winters, roomy enough to layer underneath, and not too puffy that it can be a warm mid layer under a shell or another jacket. It fit under my old OR Mithril jacket as a test but I'd prefer to wear it under something without a hood. 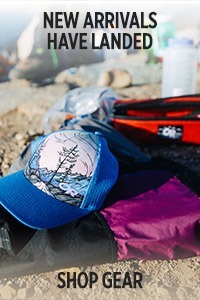 It's light enough to throw in the pack on summer backpacking trips for those cool alpine evenings and mornings. 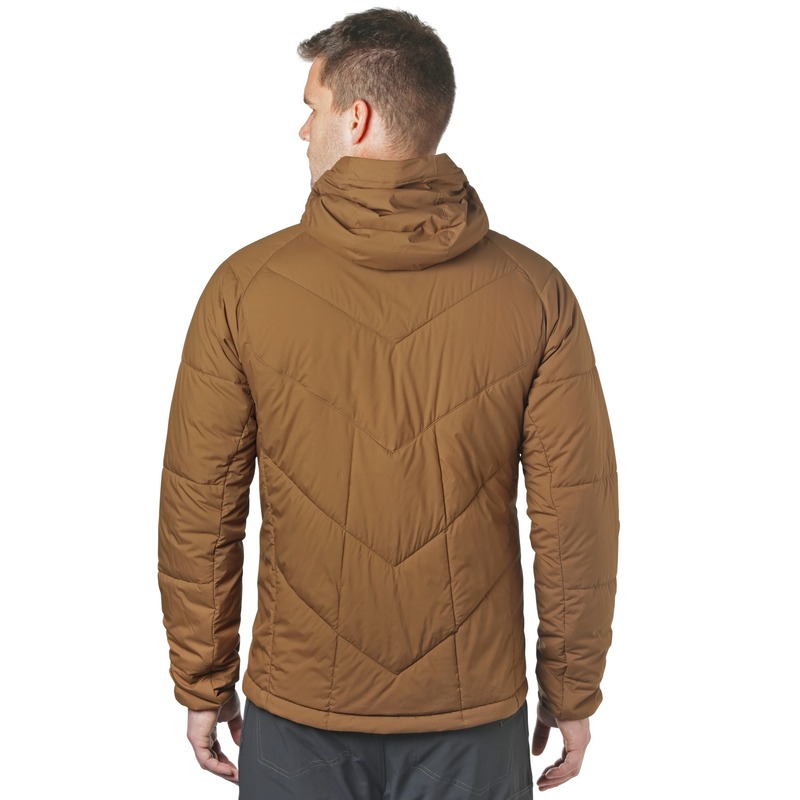 (Will make a good pillow too) I went with the OR refuge over similar jackets from Patagucci because OR seemed like it had the best make up for a breathable jacket. I'm tired of buying insulating layers that don't breathe well. 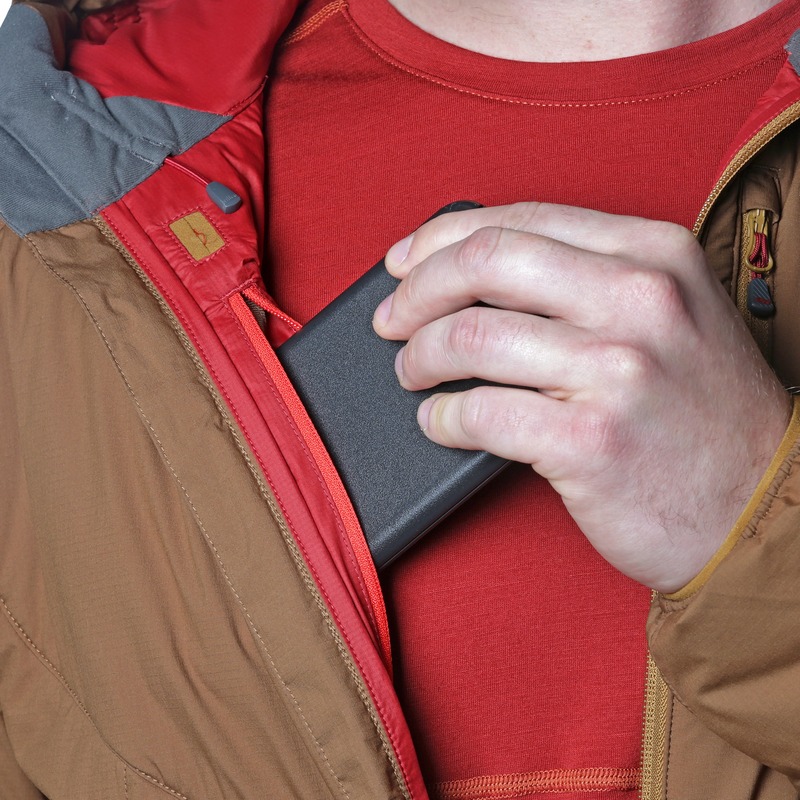 The Refuge breathes awesome and fits my style of layering nicely. 6' tall, 205 lbs with broad shoulders. I went with the XL and fit is great. I'm stoked I bought it. 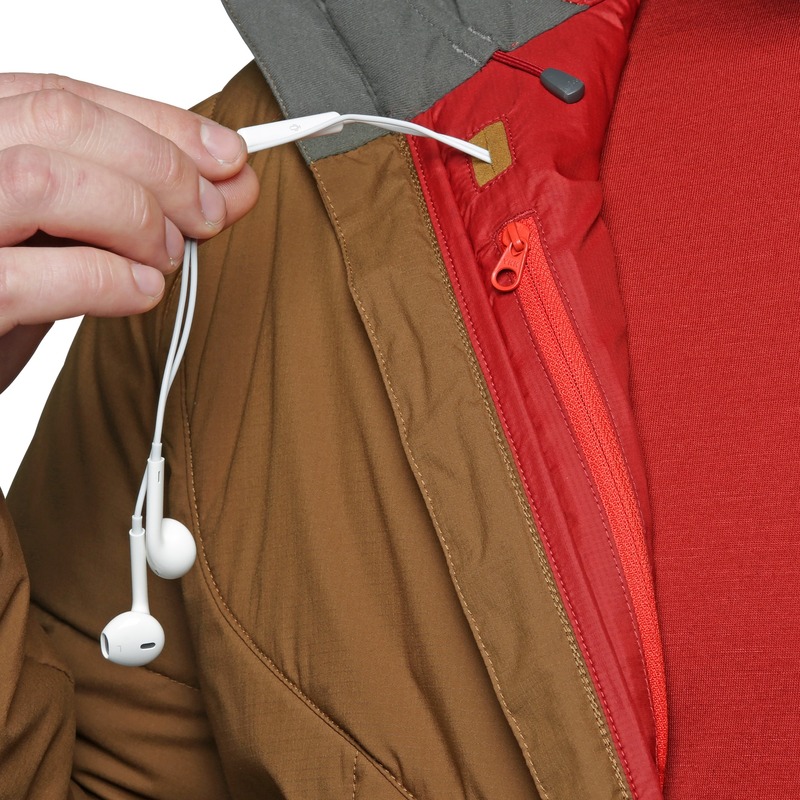 This is a solid jacket. 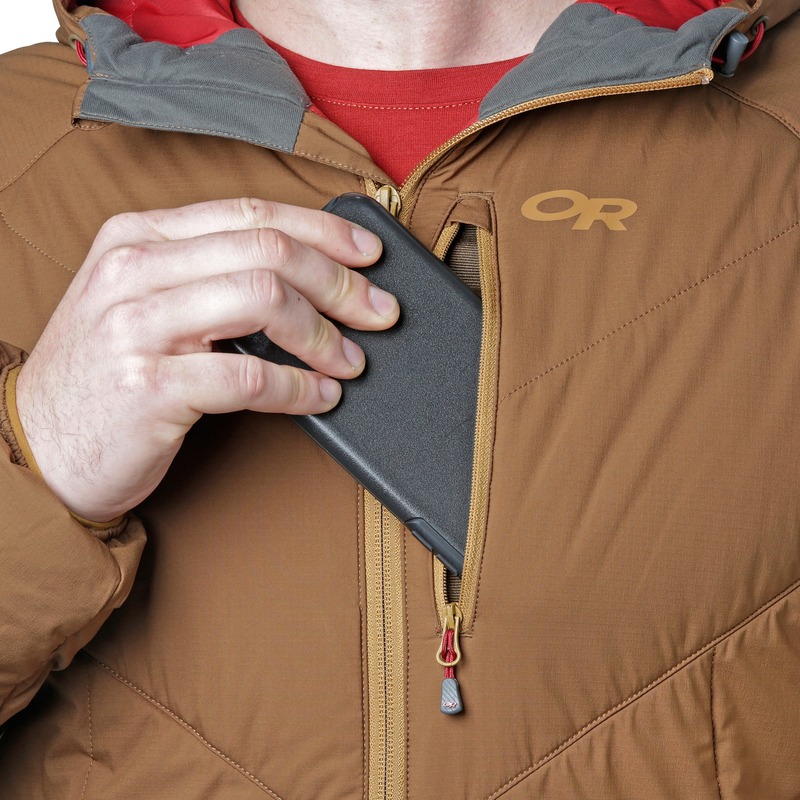 Warm, lightweight and gets the job done. I found it tight in the upper arms and chest. The sleeves were also too long. The tightness made it hard to freely move around. For reference I'm 5'9" 170lbs. Love the style, weight and comfort of this piece. Picked up this jacket because of it's weight and compactability. I wanted to be able to throw in in my pack during long days out in the cold so I would have something to stay warm during breaks. 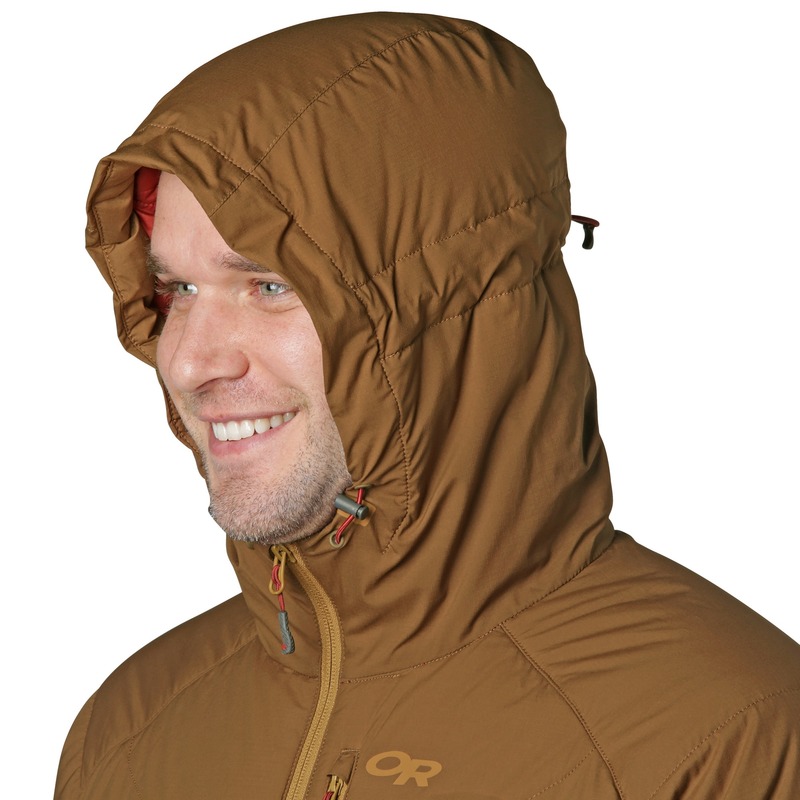 It is SUPER warm and protective and lightweight. I actually rode my motorcycle with it on in 30 degree temps at 70mph and was perfectly warm. Pretty amazing. And as a plus, it just looks and feels good. Nice job OR on making functional and good looking gear! 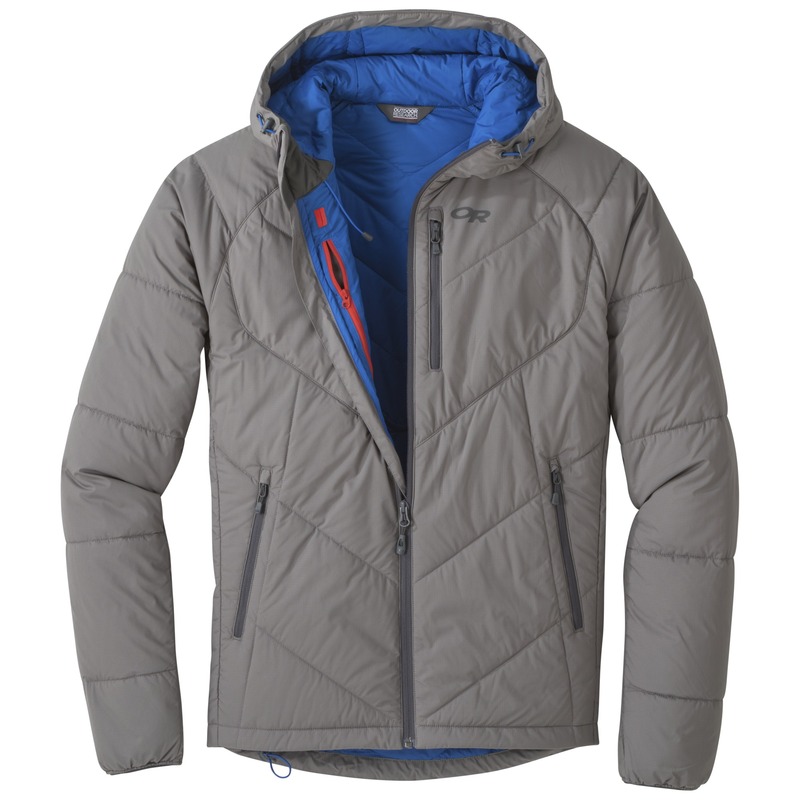 great all around toss it on and go winter jacket for southcentral AK. 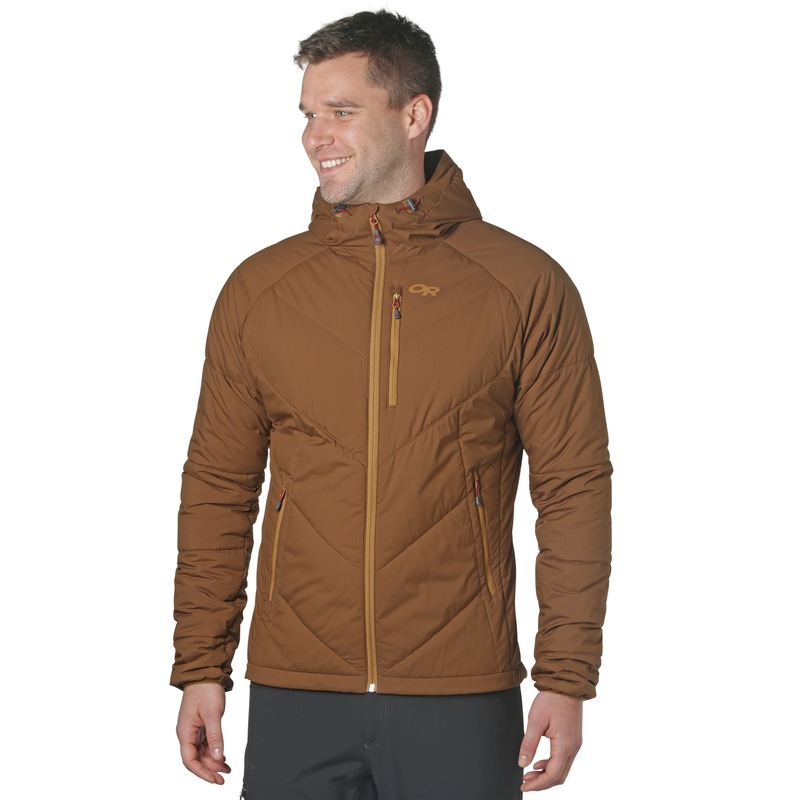 Chose to go with synthetic after a previous down jacket had a critical blowout. I'm 6'4", 210, and after reading other reviews that suggested it ran a little small, so I got an XL and was pleased to find that it fits great. 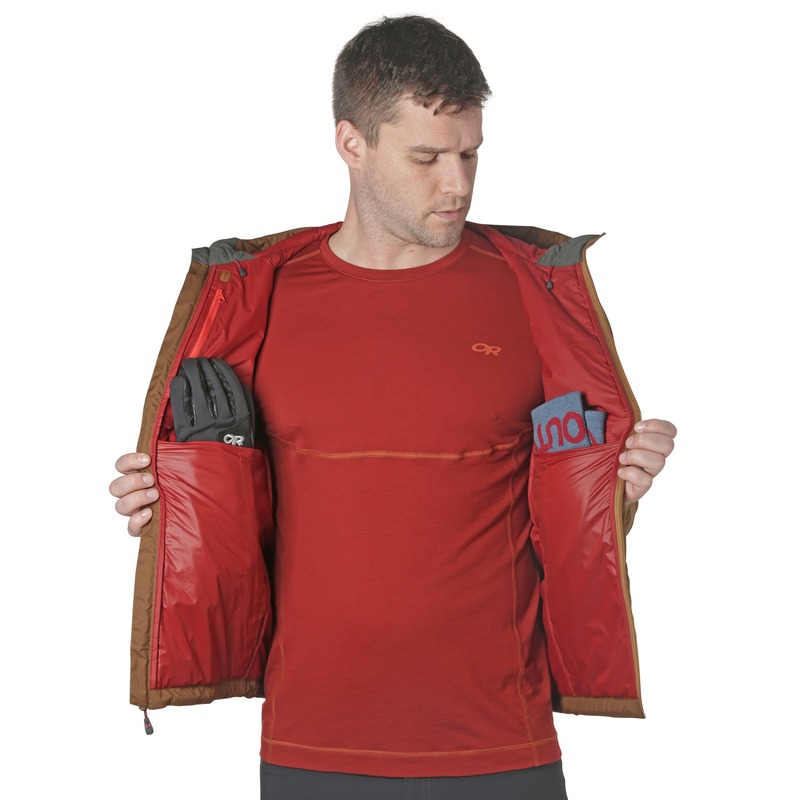 Good insulation for the lack of bulk, definitely windproof, and waterproof enough to be practical. 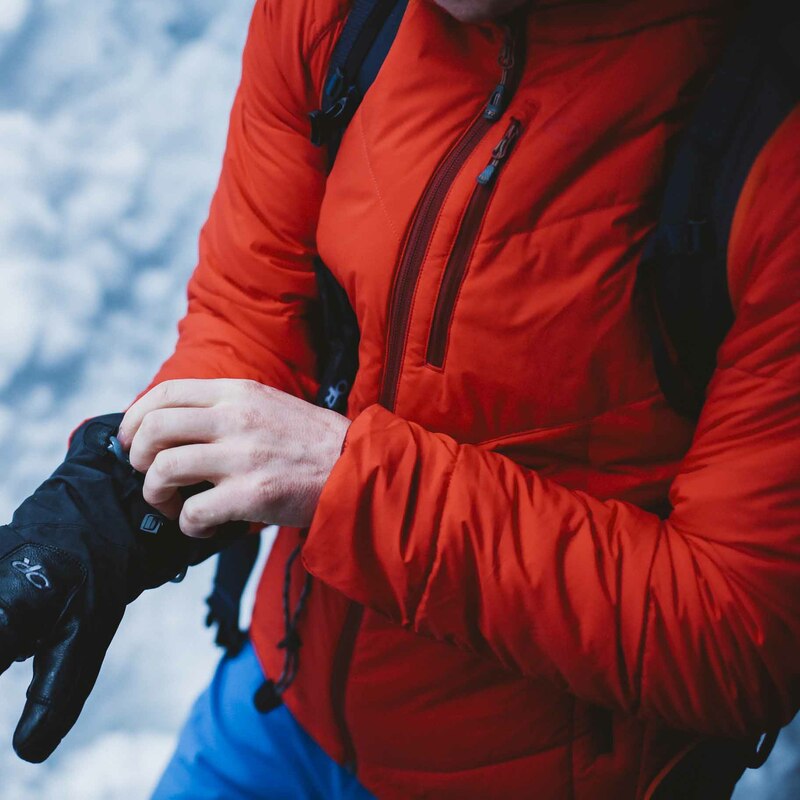 You'll definitely need more layers for extended sub-30 temperatures, but for short exposure and anything above that you'll be great. A most excellent do-it-all jacket, just what I was looking for. Only had a few weeks, but so far have been very impressed. The fit is excellent (I'm 6'1", 185lbs, with a size Large), great length in the sleeves, falls a little lower in the back for coverage, and layer's very well without being bulky. Also, the hood is just right. Honestly haven't had to layer much though, because this thing is very warm for the weight, comfortable in the high 30's/lower 40's with just a t-shirt underneath. Been out in some light rain as well, and the jacket did a good job managing moisture. I'd say the thing that impressed me most so far though is the breath-ability. 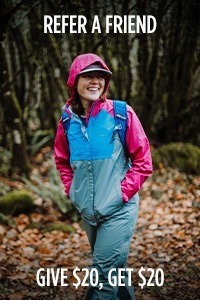 Did a quick shot up our local peak wearing this, and where I would normally be sweating like crazy this jacket managed quite well. Great jacket, thanks OR! Perfect jacket for a day snowboarding! 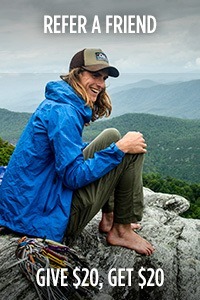 I'm looking for a jacket for backpacking this winter. 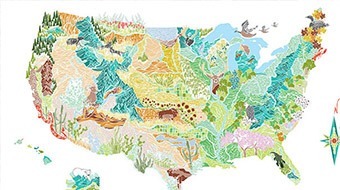 Mostly in the smokey mountains. 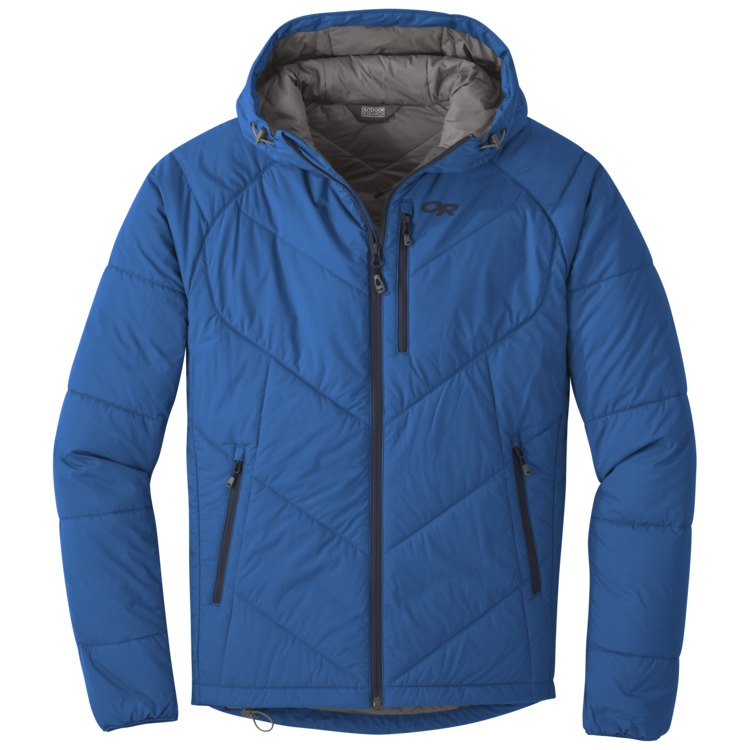 I need a jacket that's breathable when hiking but also warm on cold nights at camp which of your jackets fill this role the best I like the refuge and the ferosi winter. Which of these is warmer? Josh, the refuge would be a warmer option, as it will dry faster then the winter ferrosi, and the winter ferrosi is a heavy option, hoping this helps dial in a winner.